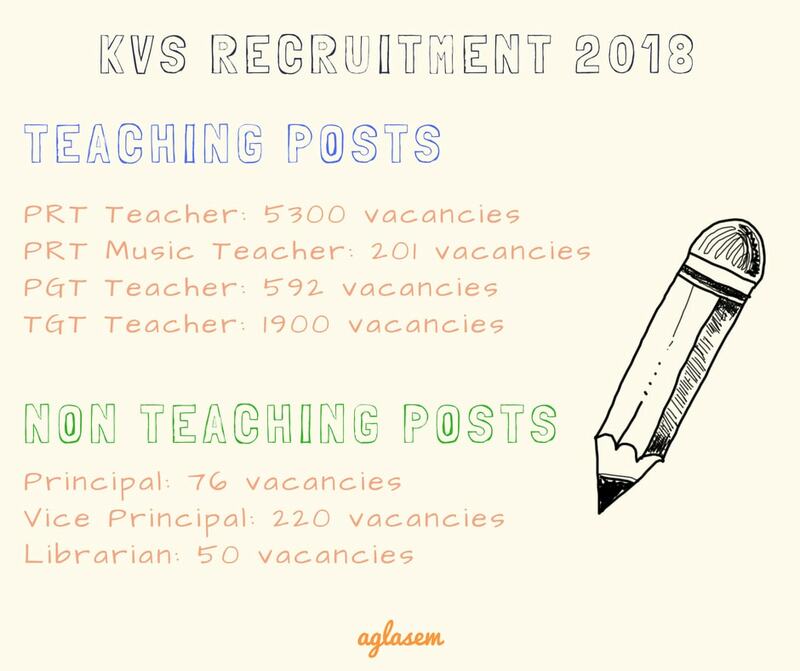 KVS Recruitment 2018 – Kendriya Vidyalaya Sangathan (KVS) has released List of candidates selected for the post of PGTs, TGT, Librarian, PRT. The list has been displayed at the official website i.e. kvsangathan.nic.in. Interview for the post of PGT and TGT was conducted from February 11 to 12, 2019 and February 11 to 14, 2019 respectively. The KVS Librarian post interview was conducted on January 30, 2019, and the Interview for the post of PRT(Music) conducted from January 30, 2019, to February 01, 2019. As per the KVS Recruitment Notification 2018, there are 8339 total vacancies. Check KVS Recruitment 2018 complete details including notification, exam date, application form, vacancies, and all other information. Latest: The Final Result for the post of PGTs, TGT, Librarian, and PRT has been declared. Click here to check the same. The candidates who have applied are now able to download the admit card. To download it the candidates have to visit the official website, or they can directly access it through the link provided above. Availability of admit card for the interview 21 Nov 2018, 17 Jan 2019 for Librarian and Music PRT. Click here to download the above pdf. 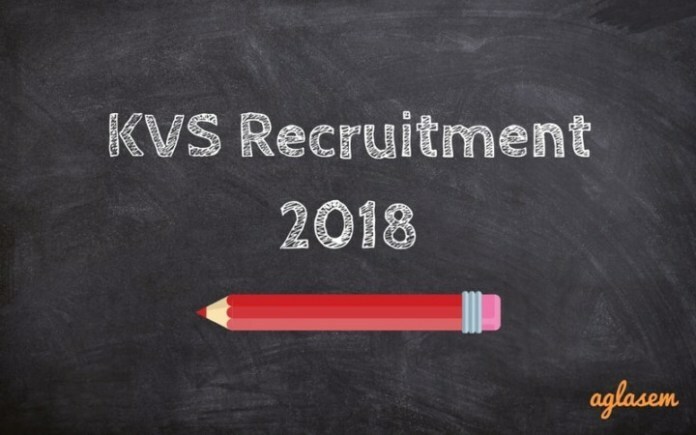 To read about KVS Recruitment 2018 in hindi, click here. Complete details of vacancies for KVS Recruitment 2018 for teaching and non-teaching posts, along with age limit, pay level, and group is below. Candidates can apply online for KVS Recruitment 2018 as per schedule. In order to apply, they have to visit official website that is kvsangathan.nic.in. On the website, they get a link to apply online where they have to enter various details. 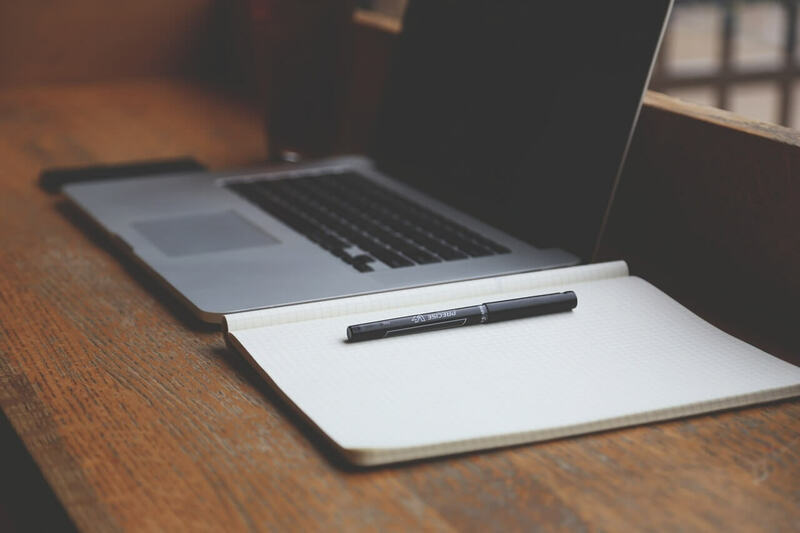 Candidates must fill correct data that matches with their certificates. Candidates can click here to apply for the same. the application fee for KVS Recruitment varies for the post by post. Check the application fee from the table. As we notified above there are several posts identified by Kendriya Vidyalaya Sangathan for KVS Recruitment 2018. The candidates who wish to apply can check the vacancies. For each post, the vacancy has been distributed as per category and their reservation. Kendriya Vidyalaya Sangathan (KVS) has released a detailed notification. They are given below in Hindi and English languages. English Notification: Click here to download notification of KVS Recruitment 2018 in English. This is a very big recruitment for all the candidates who wish to be a part of KVS. The Kendriya Vidyalayas are a network of central government schools in India. They were built under the guidance of Ministry of Human Resource Development. There are 1183 KV schools in India. After appearing in exam, candidates get selected or rejected on basis of their performance in exam. 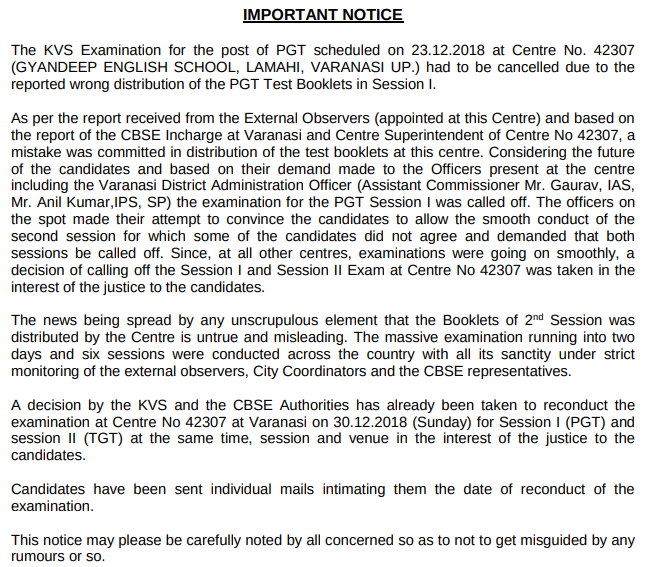 The result of KVS Recruitment 2018 will be announced online. Mode: KVS will conduct an offline recruitment test for teaching and nonteaching posts recruitment. Click here to read the detailed Examination Scheme for the distinct post. Other details of the exam such as exam pattern, syllabus, duration will be published at kvsangathan.nic.in. As the exam will be in offline mode, thus candidates can practice sample papers with OMR sheets. Candidates should start preparing from today if they want to qualify for the exam. There are several good books to prepare for the exam, select the best! The number of vacancies in KVS Recruitment Notification 2018 is tentative and may vary. Reservation shall be applicable as per Government of India norms. There will be age relaxation for SC, ST, OBC, PH, Ex-Servicemen candidates as per GOI rules. Candidates will get all information such as eligibility criteria, age relaxation, examination cities, fee, choice of zone, scheme of exam at kvsangathan.nic.in when application form filling starts. check your registration mail for reg. no. you cannot download the OMR sheet you can check your answers only. Answer Key has not been uploaded for re-examination yet on the official website. As soon as officials release the answer key we will provide the same here. Please tell me KVS (Art and education) interview result which was conducted on 12/02/2019, when will coming on?